Shirley Scoville pioneered Boulder Valley School Board meetings on cable with her own camera and TV show, Eye on the the BVSD. She taped the meetings and aired them with her commentary on three cable systems throughout the school district for about 3 ½ years. The school board gave her a plaque in June 1997 to recognize her pioneering efforts. Several years later, Shirley served the Daily Camera, a newspaper in Boulder, Colo., as a member of its editorial advisory board for a few months short of 3 years and as a community columnist for a year. When the Daily Camera offered her a blog, she jumped at the chance and began writing, Community Blog: Consider This. She continues to blog there though the blog that began on the newspaper’s servers is now hosted on WordPress.com with a link from the Daily Camera website. Shirley started a second opinion blog, Consider This, Too, as a convenient place for all of her published editorial advisory board comments and columns. She blogs there also. 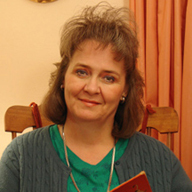 Shirley is a wife, a mother, a grandmother, and an active member of The Church of Jesus Christ of Latter-day Saints. Her blog, As Light Shines, is a place where she posts her stories and photos of the Boulder Colorado Stake of The Church of Jesus Christ of Latter-day Saints and related topics. She maintains a companion photo blog, Photos As Light Shines, where she shares additional photos for her stories. The Boulder Stake of The Church of Jesus Christ of Latter-day Saints has approximately 3,000 members in seven local congregations called wards in Boulder, Broomfield, Erie, Lafayette, Louisville and Superior, Colo. A stake is a geographical Church subdivision. The term stake comes from Isaiah 54:2 where the Church is referred to as a tent that is enlarged and strengthened by its stakes. The Boulder Stake Center is located at 701 West South Boulder Road, Louisville, Colo. Visitors are welcome to Sunday worship meetings and weekday activities there and at church buildings throughout the stake. Read Shirley’s profile on mormon.org at http://mormon.org//me/594M. Shirley may be reached at shirley.scoville@att.net.